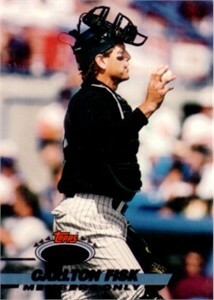 1993 Stadium Club Members Only scarce oddball card of Red Sox and White Sox Hall of Fame catcher Carlton Fisk. NrMt-Mt or better. ONLY ONE AVAILABLE FOR SALE.